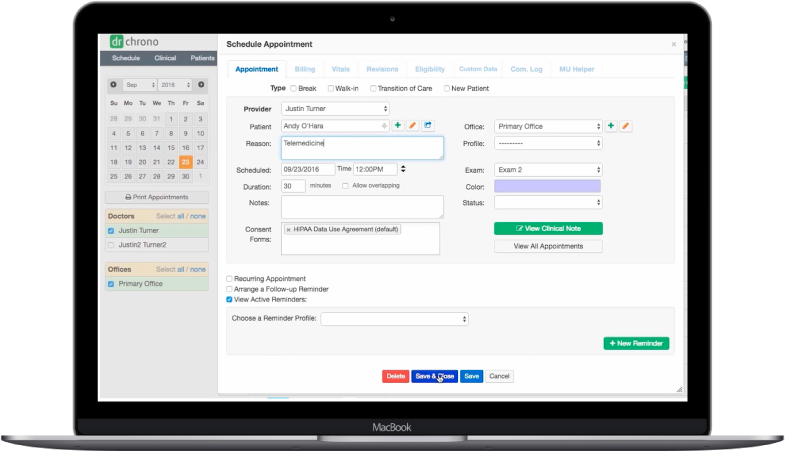 Fill out this form to watch how easy it is to schedule telemedicine appointments in drchrono and offer your patients fully reimbursed HIPAA-compliant video visits. 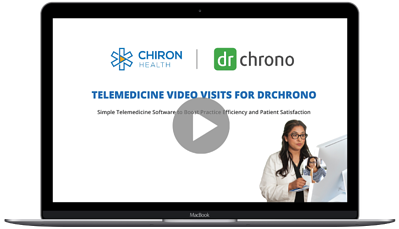 Chiron Health and drchrono have teamed up to build the industry's leading telemedicine solution for physician practices. With seamless scheduling integration, automatic insurance exchange, and telemedicine-specific eligibility verification, Chiron Health makes it a breeze for drchrono practices to offer HIPAA-compliant video visits to patients - and get reimbursed for them. Watch a video of our Co-founder, Charlie Kolb, walking you through a demo of the Chiron Health platform and drchrono integration.